aCurator is proud to support Aperture Foundation. The purpose of the Aperture Portfolio Prize is to identify trends in contemporary photography and specific artists whom we can help by bringing them to a wider audience. In choosing the first-prize winner and runners-up, we are looking for work that is fresh and that hasn't been widely seen in major publications or exhibition venues. First prize is $5,000. 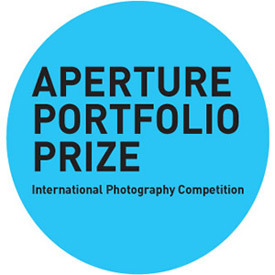 The first-prize winner and runners-up are featured in Aperture's website for approximately one year. Winners are also announced in the foundation's e-newsletter, which reaches thousands of subscribers in the photography community.